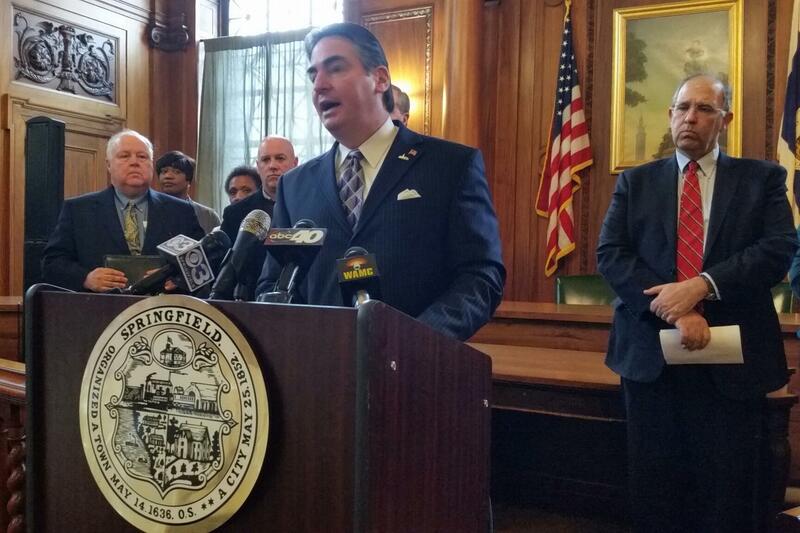 Springfield Mayor Domenic Sarno was livid in January when he denounced a program to place homeless families in apartment buildings in a city neighborhood.
" We based it on the facts and we came out the winner on it," said Mayor Domenic Sarno who added he was satisfied with the decision.
" The overburden that occurs with the schools and other services. And, it is not fair to the residents of these neighborhoods to change the use of apartment buildings or commandeer single family homes," said Sarno. Sarno had complained that homeless families were being “dumped” in the city.
" In any urban area in America, you can not continue to concentrate poverty on top of poverty," said Sarno. The Center for Human Development (CHD), an agency contracted by the state to provide temporary shelter for homeless families, challenged the citations issued by the city with the State Building Code of Appeals Board, which issued its ruling this week. The board gave CHD six months to address the code violations. The ruling could have statewide implications for the emergency shelter system for homeless families.
" I hope it sends a clarion call to the state and some of these nonprofits," Sarno said Friday. City officials said they became aware that large numbers of homeless families were being moved into apartment buildings last fall as the administration of former Gov. Deval Patrick acted to reduce the number of homeless families sheltered in area motels. CHD President and CEO Jim Goodwin said his agency provides support services for the homeless and strives to move them to permanent housing after 3-4 months.
" There is not an attempt to create a homeless ghetto or anything like that. The plan is this would occur for a short period of time," Goodwin said in an interview earlier this year. Governor Charlie Baker has set up a $20 million fund in this year’s state budget to address family homelessness. It will pay for counselors and support services for families to keep them housed and out of the state’s emergency shelter system.
" At a point in time when family homelessness has been falling nationally it has been increasing in Massachusetts to the point where it is a human tragedy that clearly must be rethought and reconsidered with respect to how these families are served," said Baker in March when he introduced the plan to send up the special fund. Baker described his plan as a preventive approach to keep families in communities where they have a support system and where their children attend school. During the last year of the Patrick administration, a record number of homeless families sought state assistance. Authorities in Massachusetts’ third largest city are using innovation, technology, and more police on patrol to combat violent crime. Total crime is down about 8 percent in Springfield so far this year, according to the Springfield Police Department. It is in keeping with a national trend of steadily declining crime rates. But, the crime that makes the headlines – homicides – stands at 13, just one shy of the total number of murders Springfield recorded for all of last year. Over the weekend, Family Promise opened a new day center along Albany's New Scotland Avenue. The appearance of the program in the upscale neighborhood has some cheering, others scratching their heads.